Found 29 file extension associations related to Audacity and 15 file formats developed specifically for use with Audacity. 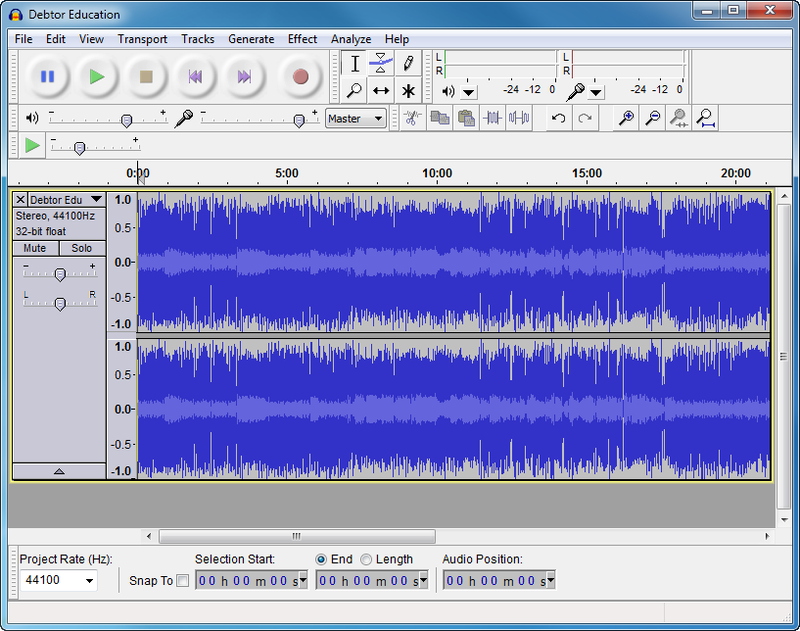 This editor can record and play sounds and import and export WAV, AIFF, MP3, and OGG files. Edit your sounds using cut, copy, and paste features (with unlimited undo functionality), mix tracks, or apply effects to your recordings. The program also has a built-in amplitude-envelope editor, a customizable spectrogram mode, and a frequency-analysis window for audio-analysis applications. Built-in effects include bass boost, wah wah, and noise removal, and the program also supports VST plug-in effects. If you need more information please contact the developers of Audacity (Audacity), or check out their product website.